It is no doubt that the world of technology revolves around encryption. Especially with technological disruptions such as cloud, IoT, and mobility, encryption is an absolute necessity to protect companies from threats like ransomware, DDoS and phishing attacks. In order to protect their clients’ sensitive data and other classified information, enterprises need to keep updating their approach towards cybersecurity. With the fast-paced evolution of cyber attacks, encryption solution providers have concocted new schemes to aid companies in securing their data, such as honey encryption, quantum key distribution, and homomorphic encryption. With the continued fast-paced rise of cyber attacks, there is wider adoption of encryption in private clouds. Using encryption algorithms like advanced encryption standard (AES) can help companies to obstruct data breaches at the record level. In addition, growing compliance regulations are also changing the encryption requirements of businesses to protect their customers across various geographical locations. Companies need to embrace these changes and consider investments in encryption to strengthen their cybersecurity initiatives. With the number of encryption solution providers filling up to the brim in the industry, it is an uphill task for a CIO to find the apt solution provider. 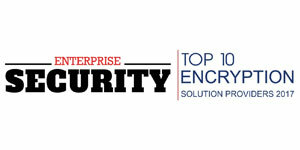 Acting as a beacon in the industry, a distinguished panel comprising of CEOs, CIOs and analysts including Enterprise Security Magazine’s editorial board have charted out top 10 companies offering tailor-made and efficient Encryption solutions. These companies offer powerful solutions coupled with innovative strategies that can help your business succeed. 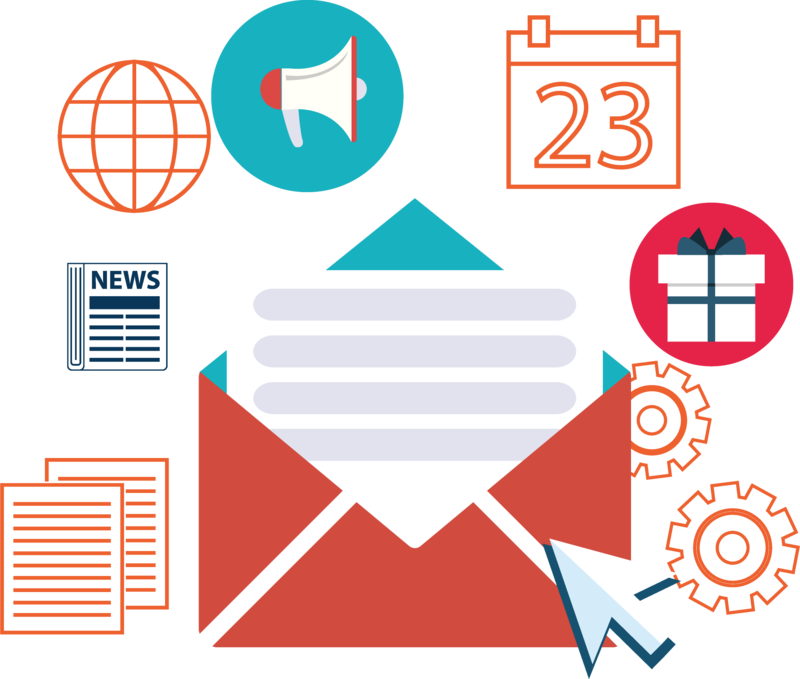 DataMotion is premiere encryption solution provider that offers secure data solutions such as email encryption. By using DataMotion, companies can exchange email, files and other information easily and securely with partners and their cloud customers. Its easy-to-use solutions for encrypted e-mail, file transfers, processing forms, customer connections, and the direct project provide a core, secure data delivery platform. All their solutions use military encryption to enable them to travel untouched and secure across the internet, including e-mails, attachments, and files sent from mobile devices. Their clients experience reduced risk, improved compliance, improved business processes, and increased data visibility and administration. Millions of users around the world are relying on DataMotion to transparently improve business efficiency and reduce cost while minimizing safety and compliance hazards in sectors such as healthcare, financial services, and government. The DataMotion platform is used to create more efficient workflows for leading banks and insurance companies, system integrators, federal, and state governments and health information technology companies. ENC Security provides a range of digital applications. From robust security to almost perfect file and data recovery to seamless, up-to-date syncing and teamwork, the company makes it easy to keep every file like financial records of businesses, customers and patients, family pictures, and videos secure and accessible whenever necessary. Products of ENC are easy to cross-platform, with scalable, practical data security, recovery, and accessibility to their users, and free of any proprietary platform hazards. ENC Security is a leading provider of encryption solutions that provides data vault and recovery software to companies. Their data security applications offer them unrivaled certainty that they can, if possible, retrieve their data even if properly installed and organized, even in the event of a disaster. Applications from ENC can be used on almost all devices, in nearly every operating system. Millions of users around the globe are securely protecting their personal and professional data including health and financial records. iCoreConnect develops software for communication and practice management that enables information sharing at the highest level of protection and provides real customer services. 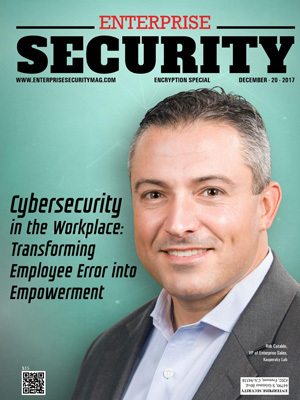 The encryption solution provider offers secure communications for high-compliance industries such as healthcare, finance, and law at a national level. Its software makes for easy exchange of information with 2048 bit encryption and in full compliance with current federal legislation. The company offers secure, cloud-based communication and practice management that is compliant with HIPAA. iCoreConnect enables easy communication between physicians, patients, and other care providers. All iCoreConnect applications comply with the federal government's five HIPAA-compliant regulations. Echoworx is a recognized leader among encryption solution providers that offer a secure path for communication. OneWorld has been designed by the company to make secure messaging cost-effective and easy as it adapts to any environment and all forms of encryption. Companies have earned loyalty and trust of their consumers by creating a seamless experience with an adaptive and flexible approach to encryption using Echoworx’s OneWorld platform. The encryption experts of the company keep the fierce and determined focus on encryption and have been predicting and responding to every change such as tech crash, regulatory upheavals, financial crisis, mobile workforce, and sophisticated cyber attacks of the modern world. The ability to address multiple uses across an organization makes Echoworx solutions distinctive. FinalCode is a solution for encrypting files that enables the tracking of their usage and even remote deletion of important files. For files sent outside the company, FinalCode prevents the spilling of relevant information such as technical data, project proposals, design drawings, and customer information. FinalCode offers a cloud security cloud service that manages files delivered outside a company. The company’s clients encrypt files, and the FinalCode server manages file permission and additional tasks. FinalCode Server manages the security policy for encrypted files. When using a file, FinalCode clients must access the FinalCode Server to carry out authentication in order to apply the latest security policy. The encryption solution provider uses RSA2048 as the communication security device and the cryptographic algorithm for AES 256-bit format. Advanced encryption technology allows secure file transfer. In addition to file encryption, user operations and access restrictions prevent information leakage. PKWARE ensures continued protection and management of data by automated enterprise data protection wherever it is used, shared, and stored, within and outside the company. By smart encryption software solutions, PKWARE protects enterprise data. Global organizations face new security threats each year, stricter government regulations, and increased requirements for data storage. Without sacrificing operational effectiveness and unsustainable expenses, these challenges can be hard to overcome. More complexity is generated by the varying nature of corporate information systems, in which data must travel internally and externally via several platforms and operating systems. To tackle these issues, the encryption solution provider has developed its solution Smartcrypt that helps customers to address data management and safety concerns, save valuable resources, and maximize investment returns. The encryption solution provider STEALTH software is a leading provider of on-premise, cloud and hybrid solutions for privacy, security, and compliance services. The core strength of STEALTH Software is its product encryption and data management. Three distinct patents have been granted to the company. STEALTH’s software-only solution is deployed on the current SharePoint servers, and no extra hardware or software is required. The software does not need web parts and stubbing. 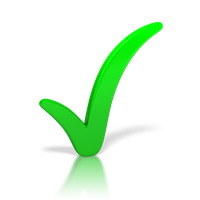 The infrastructure of SharePoint or the user cannot be interfered with and complies with Microsoft standards. Symantec helps organizations, governments, and people secure their most important data wherever it lives. It is amongst the leading encryption solution providers that provide strategic and integrated solutions to defend against advanced attacks across infrastructure and cloud. Symantec’s Norton and LifeLock product suites protect the digital lives of more than 50 million people against sophisticated threats at home and across devices around the world. Symantec Drive Encryption provides consistent protection to desktops, servers, and data by hastening the confidential data that will then look unreadable to unauthorized users. It keeps the data of the organizations safe by preventing lockouts with multiple recovery and maintenance options. Symantec Drive Encryption allows companies to enjoy the flexibility of a mobile workforce without compromising compliance and security. Thales e Security is an encryption solution provider that provides advanced data security solutions and services ensuring that a company’s data is secure and trusted in any environment. Through encryption and tokenization, Thales e Security protects and manages the data, intellectual property, identities, and regulatory compliance of its client organizations. Thales e Security speeds up the digital transformation of organizations around the globe. The Vormetric data security platform of the company helps organizations to address their compliance mandates and security objectives in a variety of systems and environments. Vormetric Transparent Encryption provides data-at-rest encryption with centralized key management, detailed data access audit logging, and privileged user access control that protects data across multiple platforms from on-premise to cloud with minimal efforts, disruption, and costs. WinMagic creates encryption solutions that meet the most demanding data protection requirements of governments and enterprises. The company is amongst the foremost players of encryption solution providers; with dynamic, manageable and easy-to-use data security solutions, it offers application-aware intelligent key management for encryption. WinMagic’s SecureDoc enables a unified encryption strategy across virtualized or cloud IaaS environment and secure stores data by providing enterprise-grade data encryption and key management policies over all the operating systems. To manage encryption better, SecureDoc works seamlessly with the native encryption of Linux by layering on top of dm-crypt. WinMagic is trusted by numerous organizations worldwide from private to government organizations to protect valuable data and information against unauthorized access and meet privacy and regulatory compliance requirements by minimizing risks.